White Orchid is a friendly, family run business owned by Stella and Andrew Whittle. Stella and Andrew are passionate about their work and try to ensure all their customers get the best possible service. Whether it’s replacing a zip, fitting and altering a wedding dress, servicing a sewing machine or longarm quilting a quilt, each and every task is carried out with enthusiasm, professionalism and attention to details. 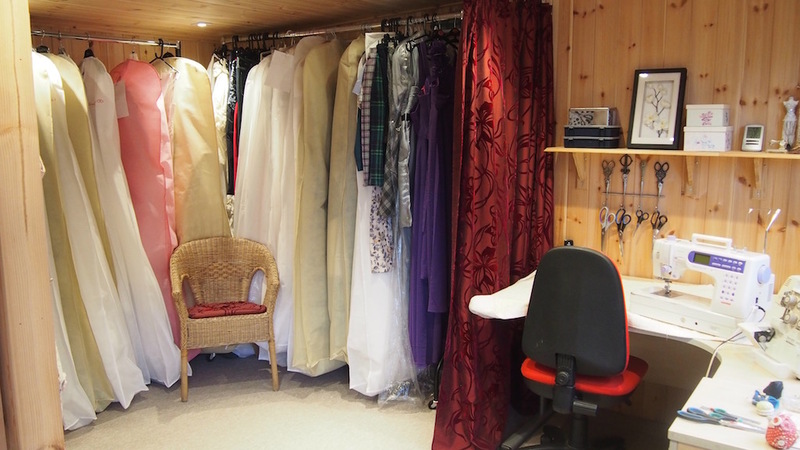 White Orchid Alterations – carries out high quality clothing alterations and repairs to all types of garments, specialising in bridal wear. White Orchid Longarm Quilting – provides affordable longarm quilting services using our Gammill Statler Stitcher; the only one in Dorset and it’s right on your doorstep. White Orchid Workshop – provides servicing and repairs to all types of home sewing machines and overlockers. Brother Sewing and Embroidery Machines – we can now supply you with a brand new Brother machine, we have a good selection of machines to try before you buy or we can order any machine in the whole range. White Orchid is located in Dairy Close, Corfe Mullen conveniently close to the A35 and A31 and only 3.3 miles from Wimborne Minster and 6.3 miles from Poole. Our address is listed on the Contact Us page.